When you board a bus, you expect the professional driver behind the wheel to drive safely and reasonably. Unfortunately, careless bus drivers and other instances of negligence do lead to catastrophic accidents from time to time. If you or a loved one was injured in a bus accident in Chattanooga or the surrounding areas, you may be able to pursue compensation for the resulting injury and damages. For a free consultation, please call Herbert Thornbury Attorney at Law, at (423) 443-3973. Our experienced attorney can determine the ultimate source of the accident and who should be held responsible. Buses may be owned and operated by private companies, government agencies, contractors or others. Determining who is accountable for the accident is part of what Mr. Thornbury does every day. For the most part, bus drivers are responsible, safe professionals who do all they can to avoid a crash. But unfortunately, these drivers are susceptible to the same moments of carelessness and negligence as other motorists. Mr. Thornbury will review the details of your case for free, and then he can let you know whether you have a claim to pursue compensation. At our law firm, our team is committed to informing you of all of your options. We want you to feel comfortable with any decision you make moving forward. As someone injured in an accident that was not your fault, you need and deserve compensation so that you can begin to heal and rebuild your life. 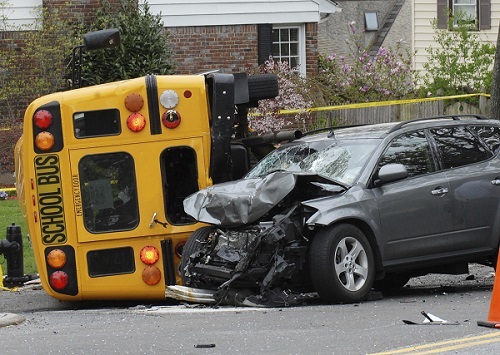 Catastrophic bus accidents can have a serious impact on your life, costing you a lot of money, and causing you pain and emotional trauma. To find out if you have a case, please call Herbert Thornbury Attorney at Law, at (423) 443-3973, for a free case evaluation. We are proud to serve Chattanooga and the surrounding areas. We do not charge you any fees unless compensation is recovered in your case.